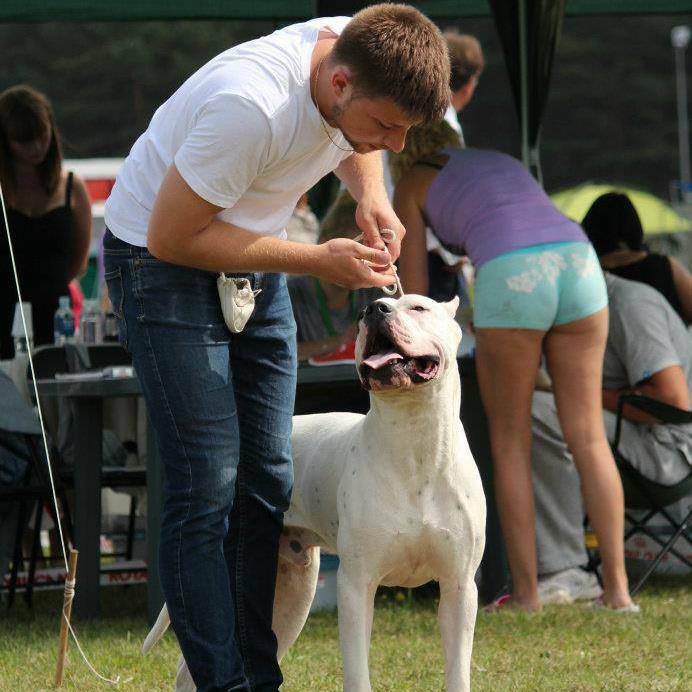 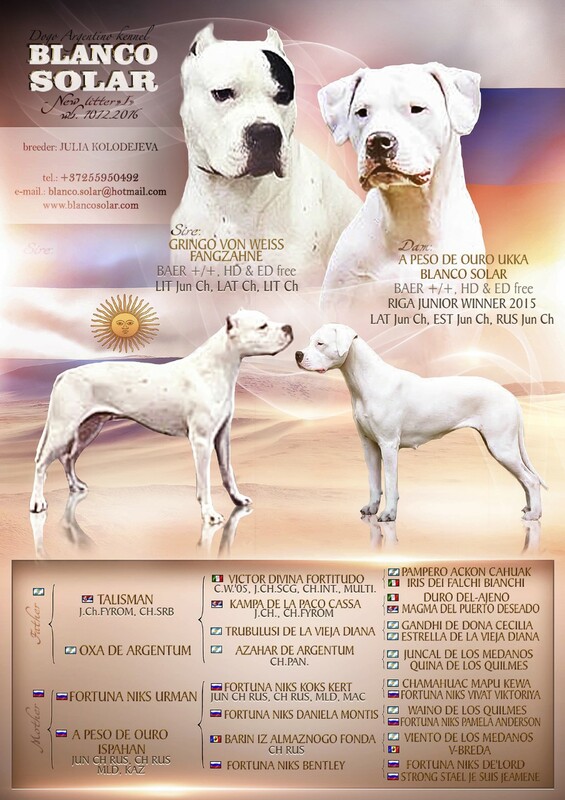 Father of the puppies is Junior Champion & Latvian Champion & Lithuanian Champion Gringo von Weiss Fangzahne. 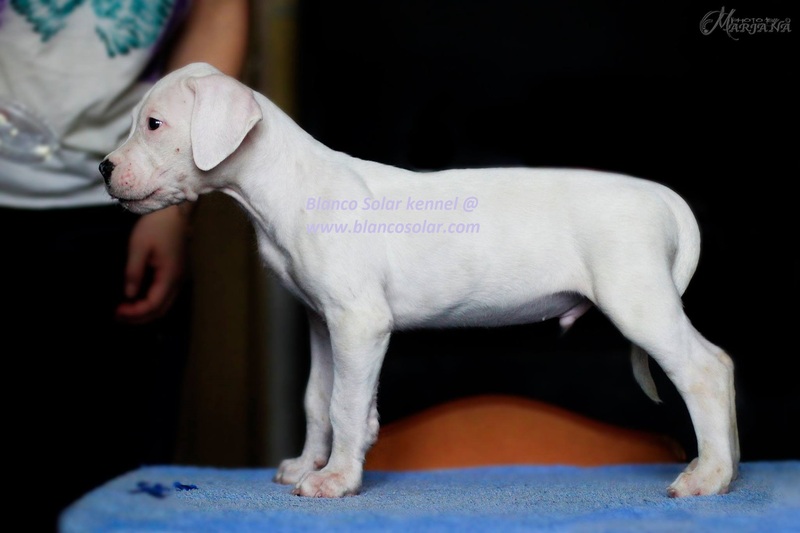 Gringo has very stabile temperament and strong body and outstanding beautiful head. 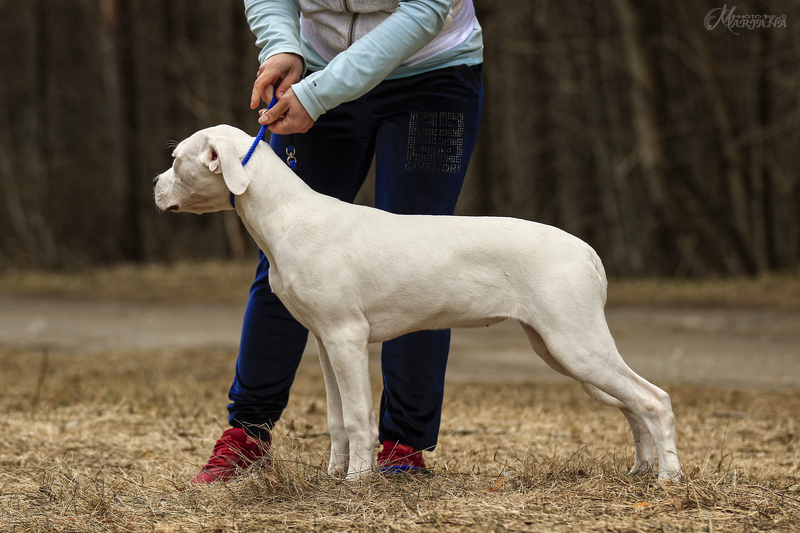 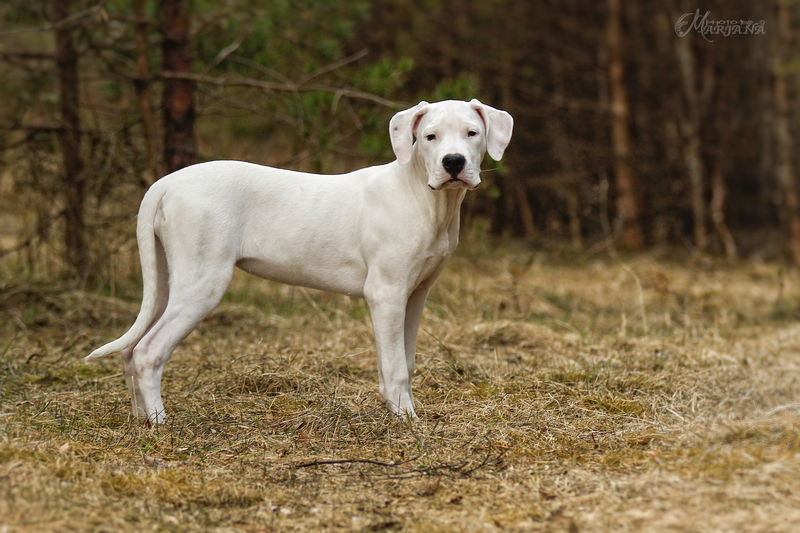 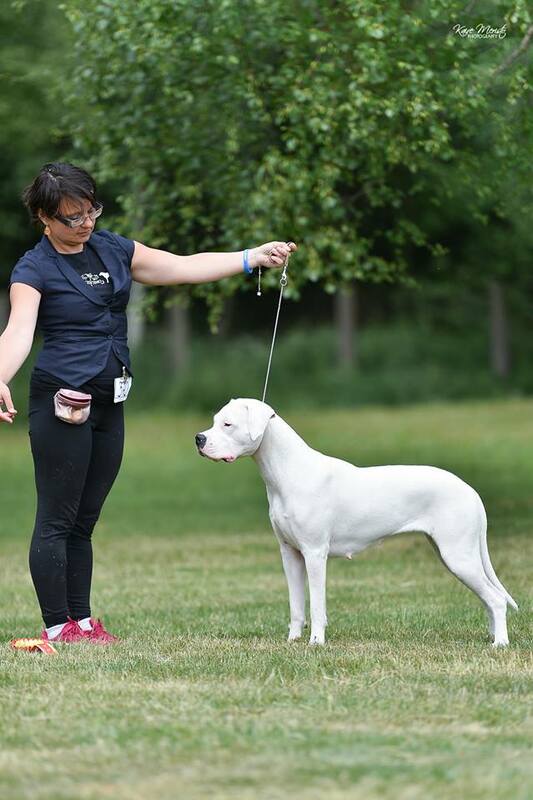 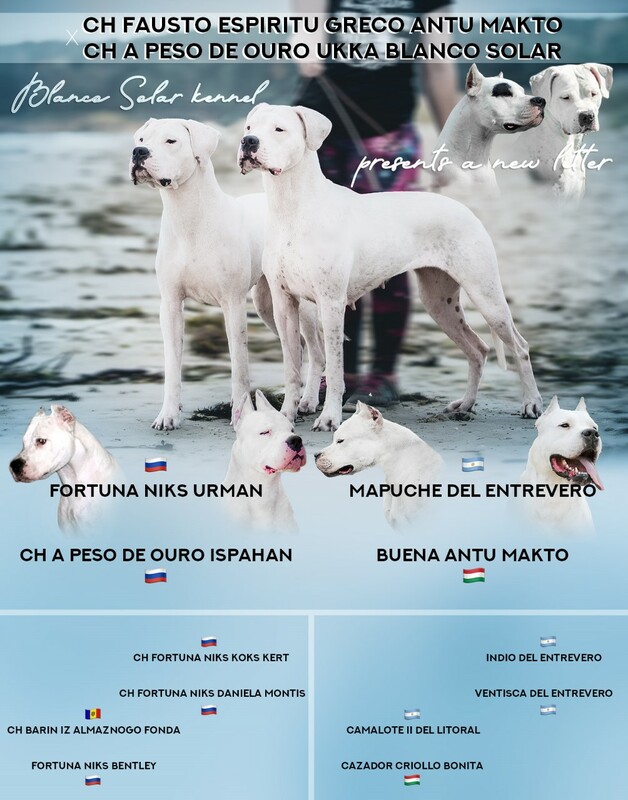 He is out of Argentinian female Oxa de Argentum, who is daughter of outstanding Arg Champion Trubulusi de la Vieja Diana and Azahar de Argentum, who has given a lot of wonderful dogos. 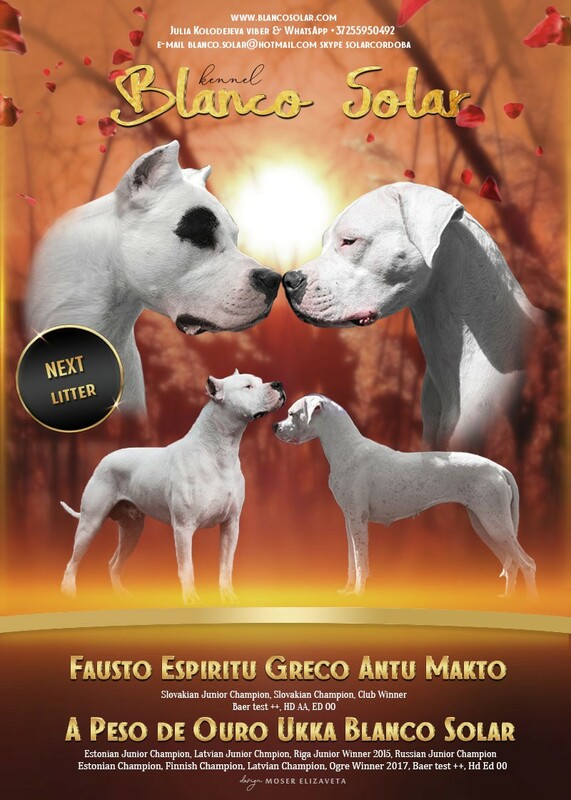 From fatherside Gringo has Multi Champion Victor Divina Fortitudo. 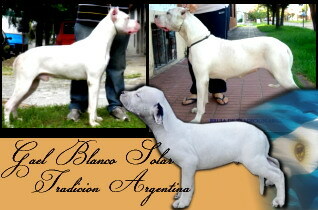 Victor is a son of Argentinian Champion and Multi Winner Pampero Ackon Cahuak and beautiful female Iris dei Falchi Bianchi. 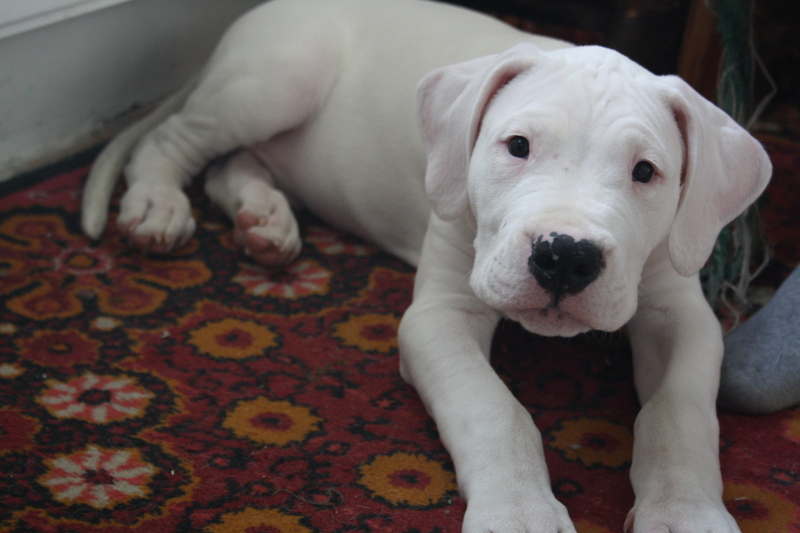 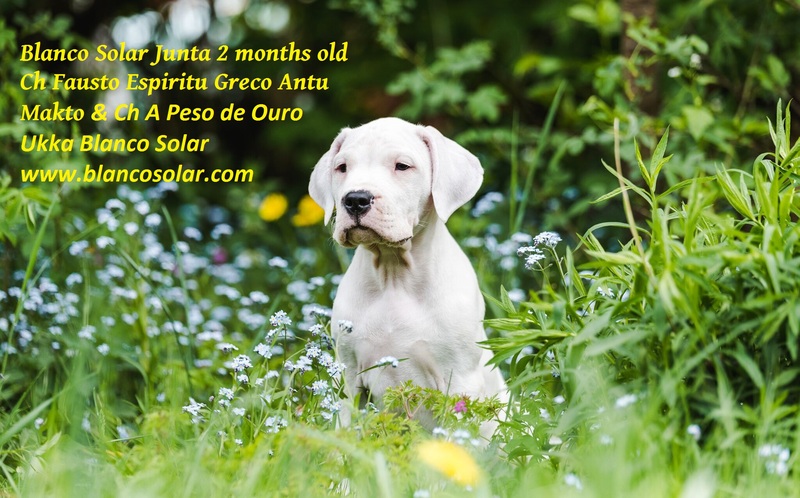 Mother of the puppies is my wonderful Uka - A Peso de Ouro Ukka Blanco Solar. 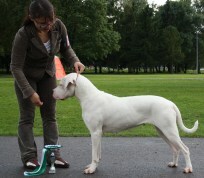 She is Junior Champion and Junior Winner. 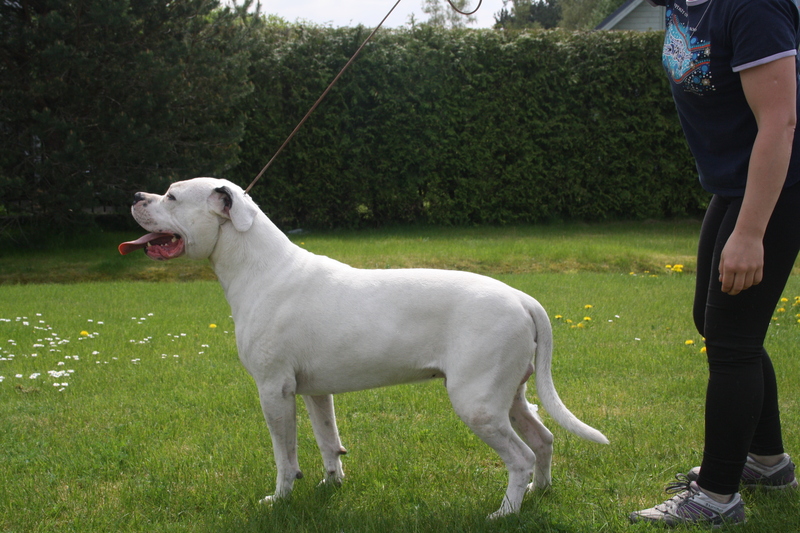 A female with lovely nature and personality. 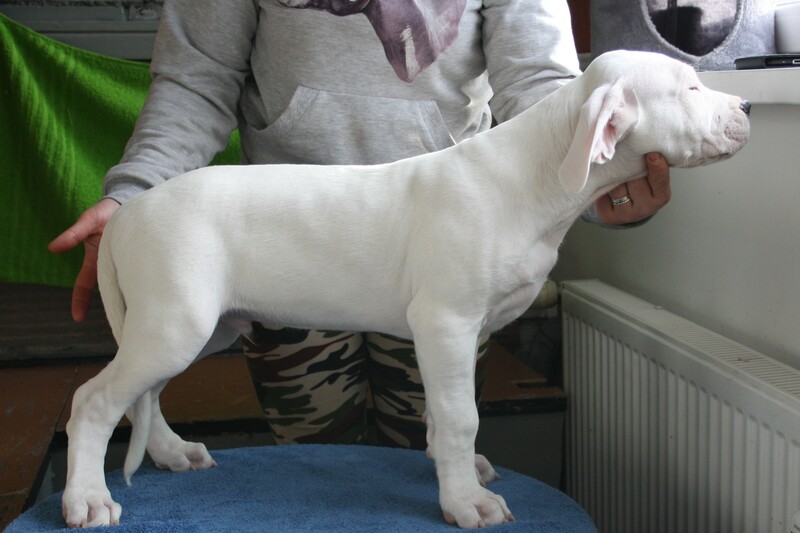 Under News you can find all her results from puppy hood till nowdays. 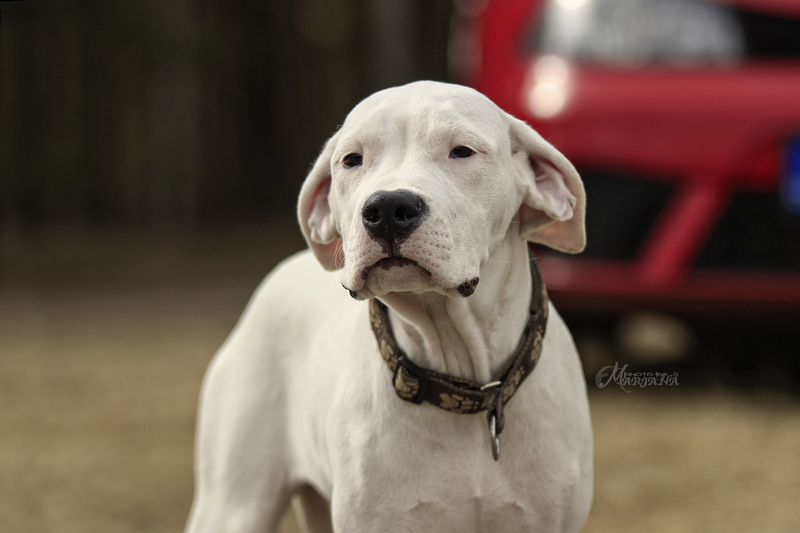 Thank You for the wonderful photos Marjana!!! 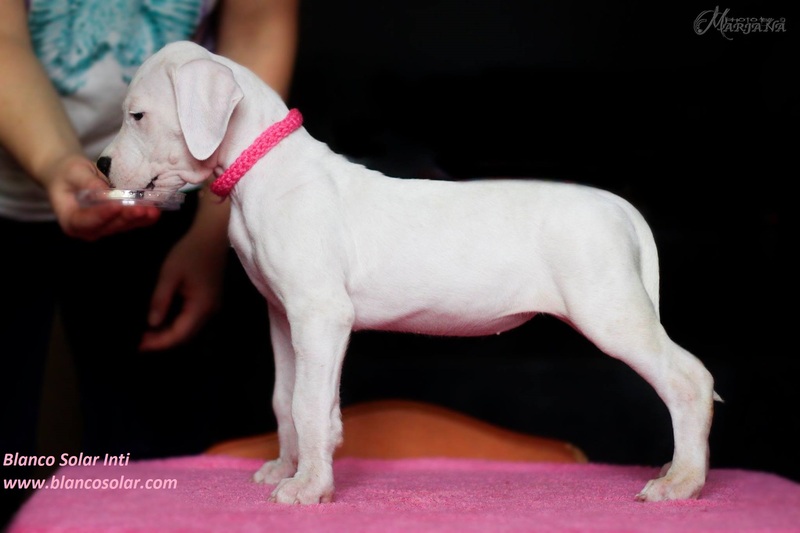 24 May 2015 was born dogo girl! 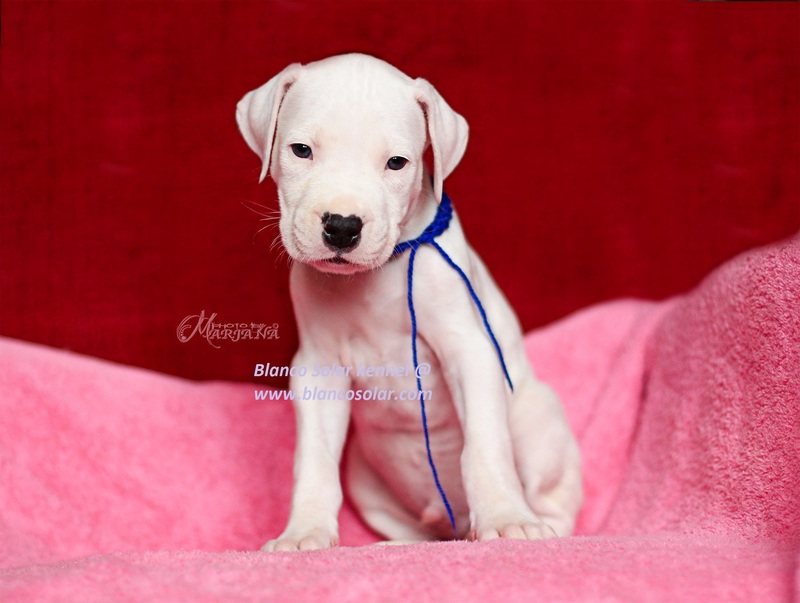 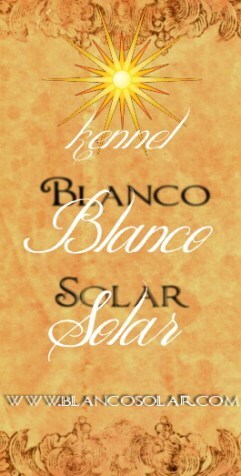 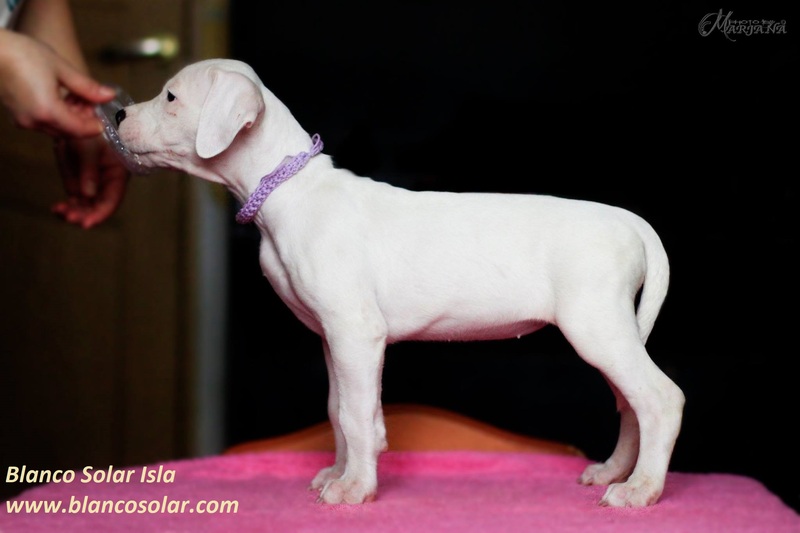 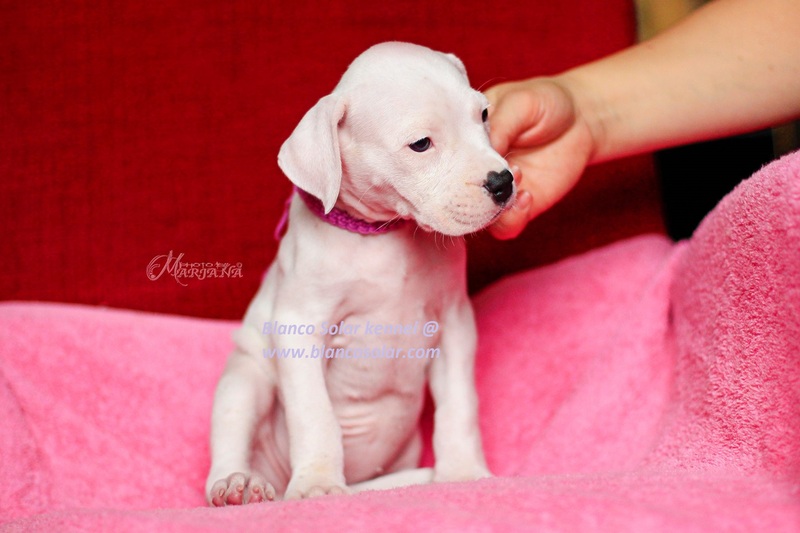 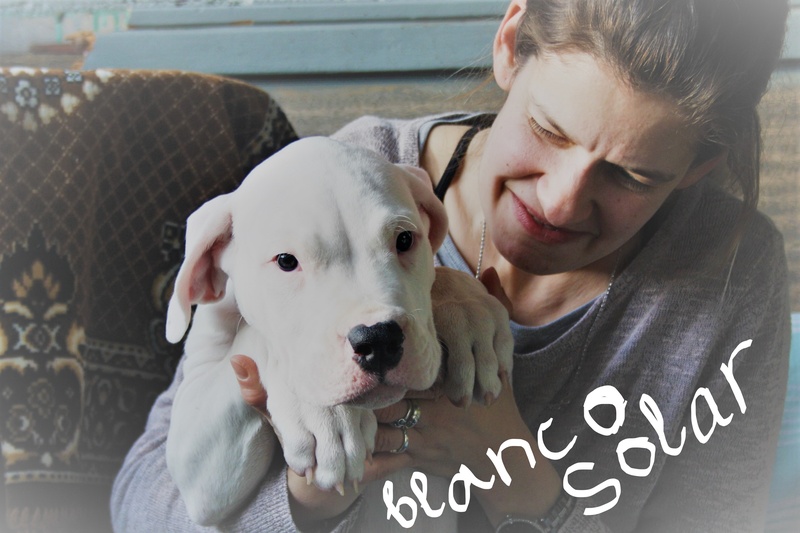 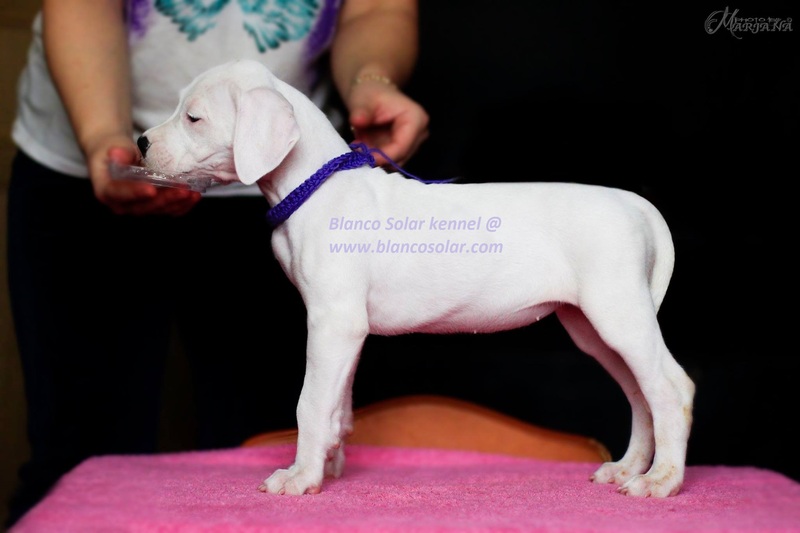 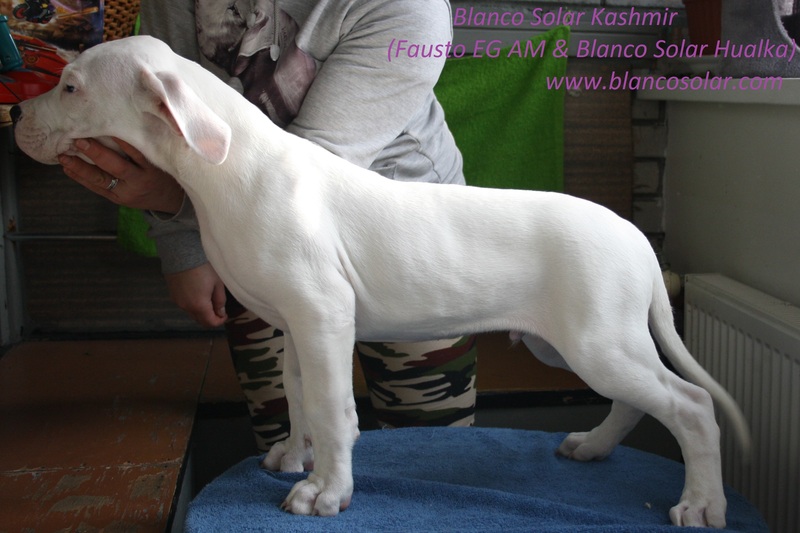 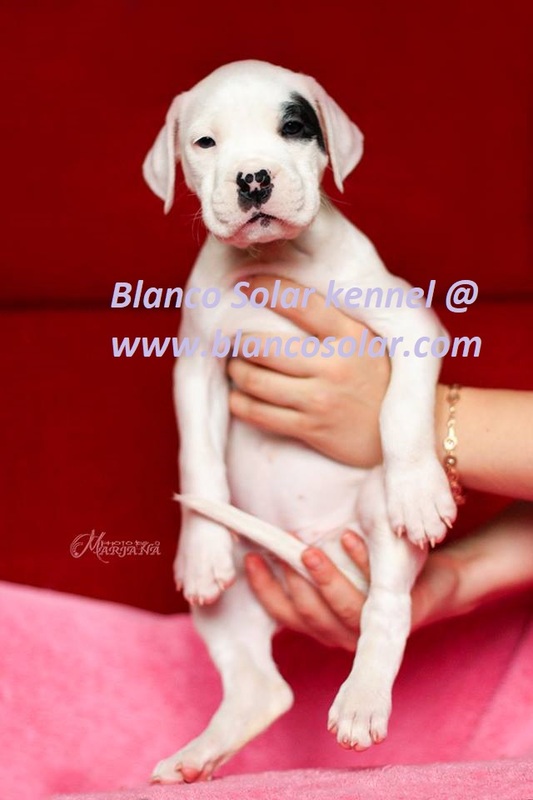 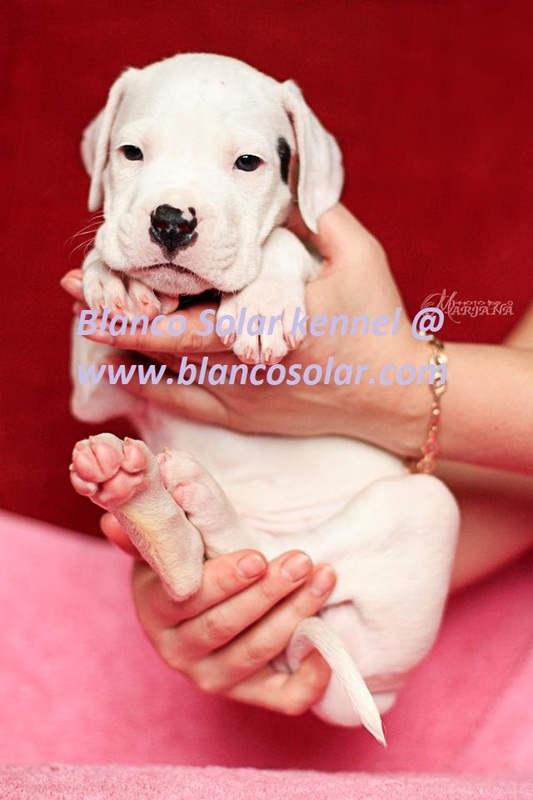 If you are seriously interested in a puppy from us please contact us blanco.solar@hotmail.com or +372 55 950 492 or via skype using nickname solarcordoba. 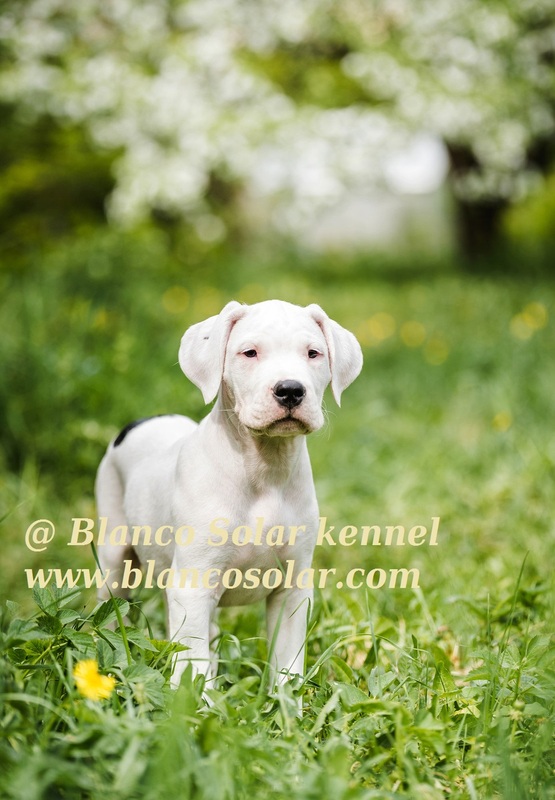 We would like to communicate to our puppy-buyers as long as possible to find out your expectations and hopes for future dog. 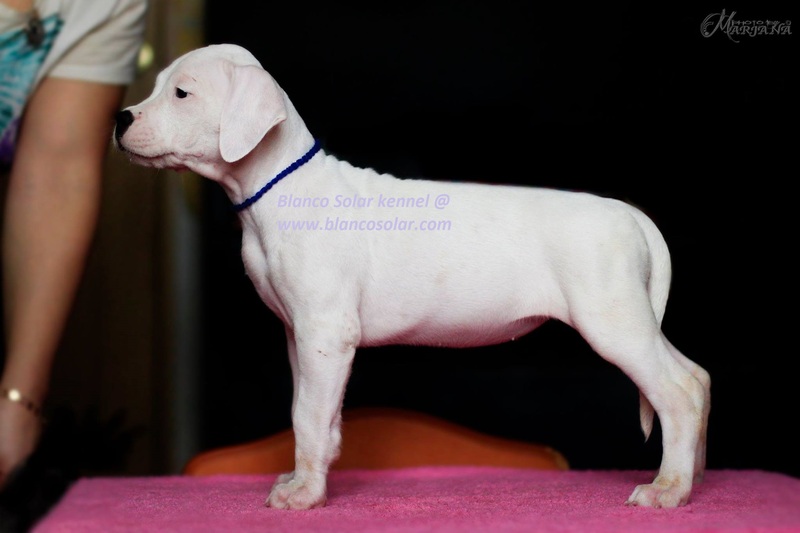 A puppy from us has FCI-EKU pedigree, he/she is BAER tested, dewormed, microchiped, living in family and used to normal life. 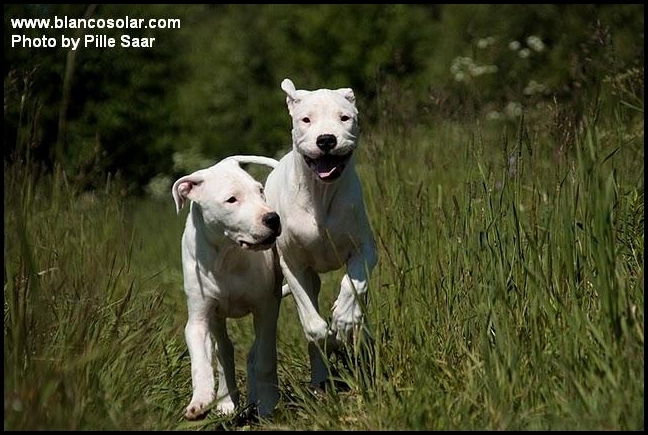 Our dogs living with us as members of our family.